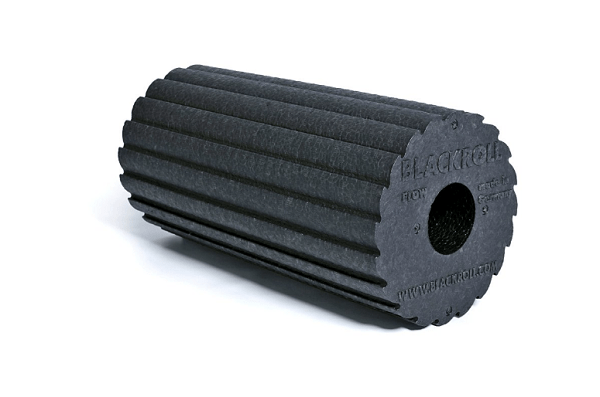 The BLACKROLL® BALL 08 is the perfect complement for the larger BLACKROLL® fascia tools. With its 8 cm diameter, it’s just what you need for point-by-point self-massage of different areas of the body. The BALL 08 is outstandingly well-suited for the treatment of deep-lying muscle groups or hard-to-access areas of the body like the neck, posterior, shoulders, and chest. With the BALL 08, you can treat specific potential pain sources. The BLACKROLL® BALL is available in two different sizes – with a diameter of 8 cm or 12 cm. The two products are perfect for use together. For example, you can use the 8 cm BALL for point massage and the 12 cm BALL for larger areas. The BLACKROLL® BALL can also be used when space is at a premium, for example on a table, the floor, or against a wall. This permits a variety of exercises for maintaining and improving muscular elasticity and performance.